Surface Gallery Grigio Argento Marble tiles featured in April/May edition of Belle magazine. 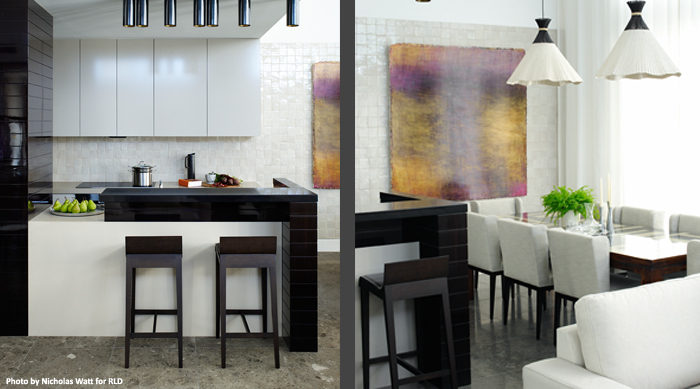 These tiles were selected by Interior Designer Andrea D'Cruz of RLD for this open plan penthouse apartment. Chosen in honed finish the 600x600mm Grigio Argento Marble tiles have elegant grey and brown tones, with variagated white veining. Grigio Argento Marble is available in tile and slab formats and is suitable for floor, wall and benchtop applications for residential and commercial projects.